Iceland has about 30 large islands scattered around its coastline. Today you visited Heimaey, off the south coast. Heimaey is the only inhabited island in the Westman Island group and part of an active volcanic field. 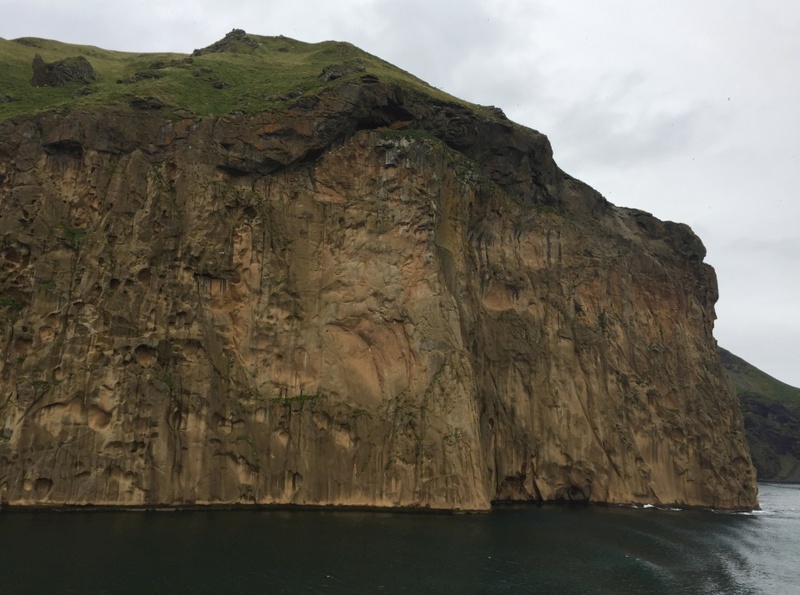 You took a 35-minute ferry ride across to Heimaey to find out more about its geology. The ambassadors were glad the sea was calm and despite the low cloud you enjoyed fantastic views of the smaller islands as you approached Heimaey. Heimaey’s harbour entrance is guarded by impressive volcanic cliffs on one side and lava flows on the other. 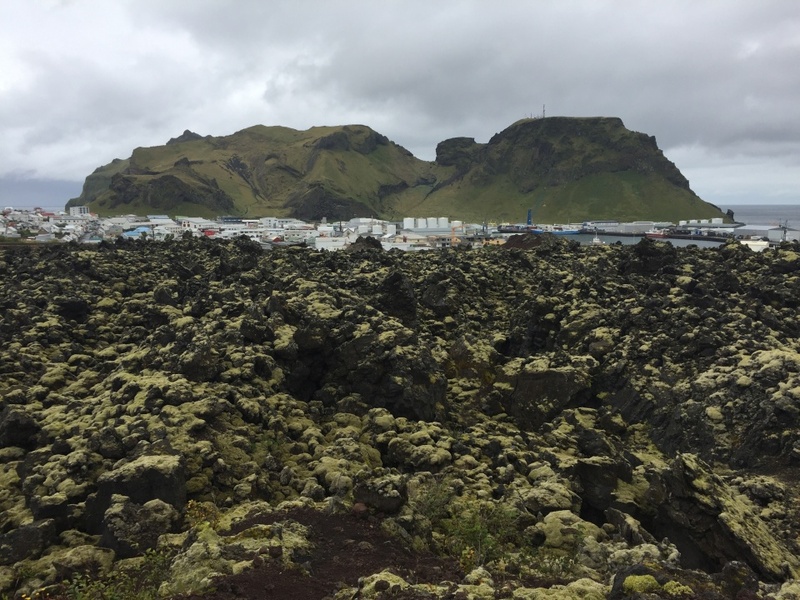 Heimaey is part of a larger volcanic system which is younger than the one you explored on Reykjanes Peninsula yesterday. This system is more like the Auckland Volcanic field with many small volcanoes. These volcanoes often only erupt once but can still cause a lot of damage. Spots of rain fell as you left the ferry but the top of Eldfell remained clear. Eldfell means fire mountain and is a 220 metre volcanic cone. Eldfell was created during an eruption back in 1973 and Ben wanted to take you on a hike to find out more about it. You wandered up through lava fields created after the side of Eldfell collapsed during the eruption. The eruption lasted over 5 months and most people had to evacuate the island. You had to take care not to slip on the scoria as you climbed up the side of Eldfell. Scoria is made up of small fragments of basalt blasted from the volcano. It is full of air bubbles, so it is light and not so easy to walk up. The wind increased as you gained height and squally showers of rain made it feel like a real adventure. At the top of Eldfell you could look out over red scoria and moss-covered lava flows. During the 1973 eruption lava flows threatened to cut off the harbour entrance. Ben described the huge effort that a team of 200 people made to save the harbour entrance from the slow spread of lava. The main industry in Heimaey is fishing so if the harbour was cut off most people would be out of work. During the 5-month eruption sea water was pumped on the lava flow to stop it from advancing towards the harbour. This effort proved successful and residents were able to return to the island. You can watch the video about this. By the end of the eruption ash fall and lava flows had destroyed 400 houses and the island was 2 square kilometres larger than it was before. You visited Eldheimar to meet Kristín who runs the museum. Eldheimar means ‘Worlds of Fire’. This museum looks at the eruption and its impact on the people who lived here. You could wear a headset and use an app to tour the exhibition and hear what happened. Before the museum was built 16 metres of ash deposits and scoria were removed from the site. This revealed one of the houses which was destroyed by the eruption. It was an incredible experience seeing the damage this eruption caused. People left the island on the night of the eruption not knowing if their homes would survive and some never returned. You spoke to Kristín who was a child at the time of the eruption. She remembered being very scared, thinking war had broken out. When her family realised that the fires they could see were from a volcano erupting she felt much calmer. People in Iceland are used to volcanoes erupting. She could remember when the new island of Surtsey had exploded out of the sea during an undersea eruption in1963. Kristín talked about how much ash and pumice fell burying houses and streets. At least the eruption has put Heimaey on the map and now thousands of tourists visit the island every year. You can watch the video to find out more. Heavy rain fell as you headed back to the mainland on the ferry. You had lots to think about as you left Heimaey. The power of Mother Nature is awesome and frightening, but it can also bring out the best in people. 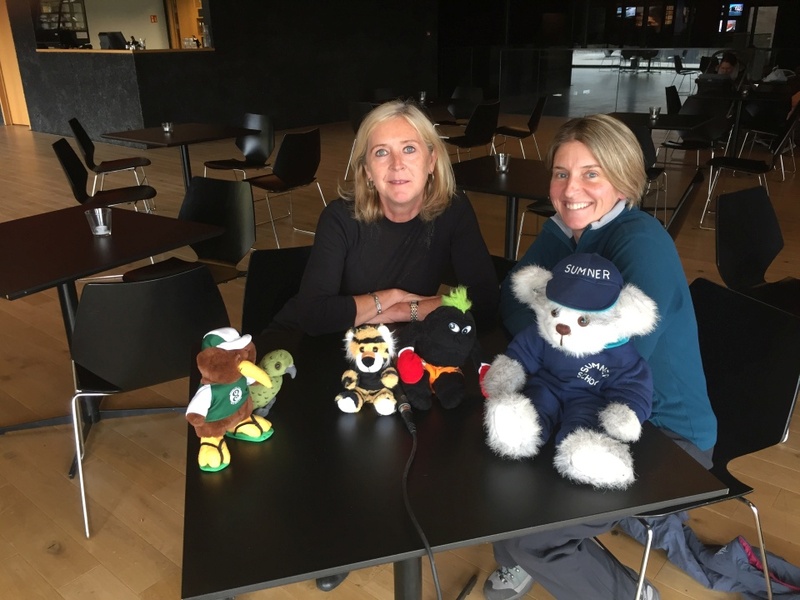 You ended the day with the web conference with Kaiapoi North School and Hawera Intermediate School. Students enjoyed asking Ben lots of questions. You can find out all the answers by listening to the recording of this web conference. 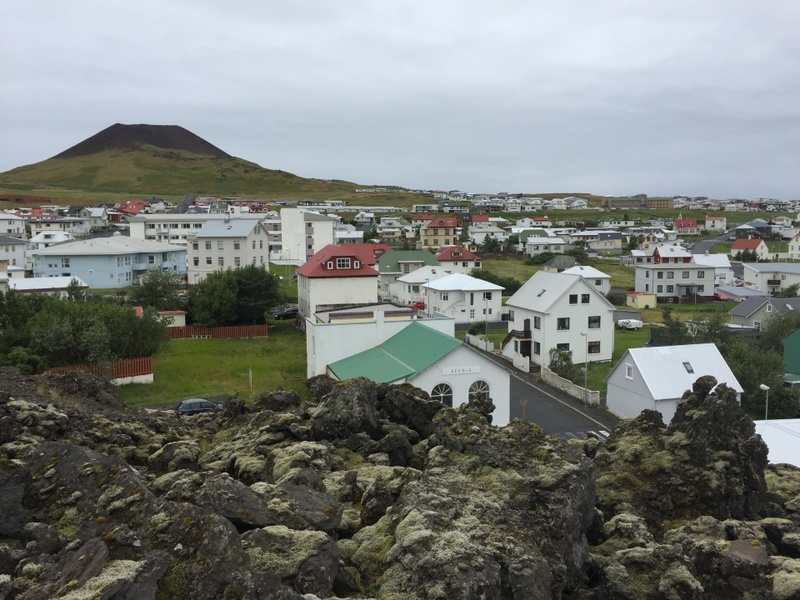 Tomorrow you are staying in Hvolsvöllur to look at how volcanic eruptions can affect people living hundreds of kilometres away. 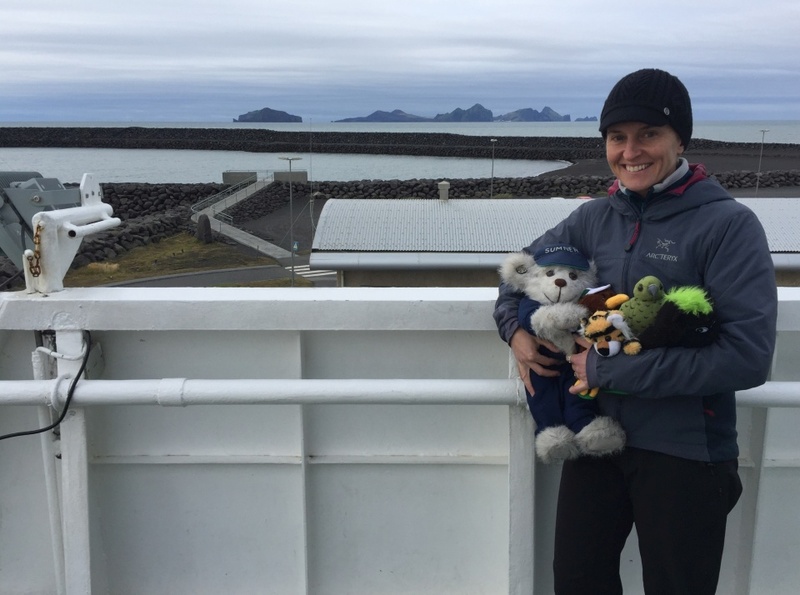 Shelley and the ambassadors board the ferry destined for the island of Heimaey. Image: LEARNZ. The volcanic cliffs of Heimaey tower over the harbour entrance. Image: LEARNZ. 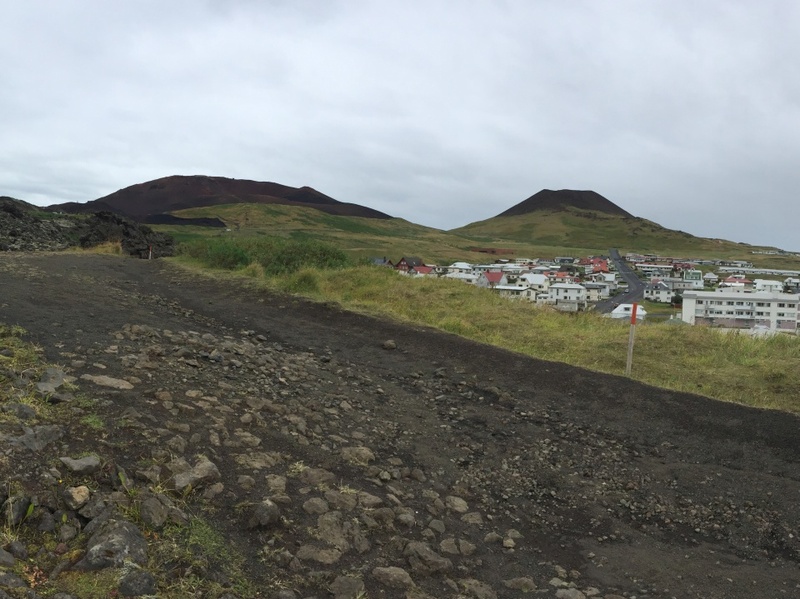 Looking out over the town of Heimaey from the lava flows that threatened the village in the 1973 eruption. Image: LEARNZ. Looking up towards Eldfell volcano on the left. Image: LEARNZ. 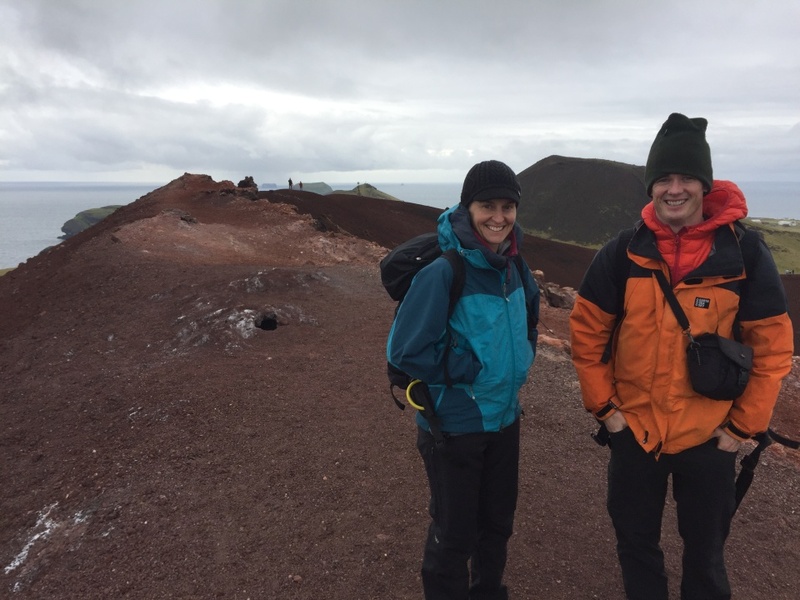 Shelley and Ben make it to the top of Eldfell Volcano on Heimaey Island. Image: LEARNZ. 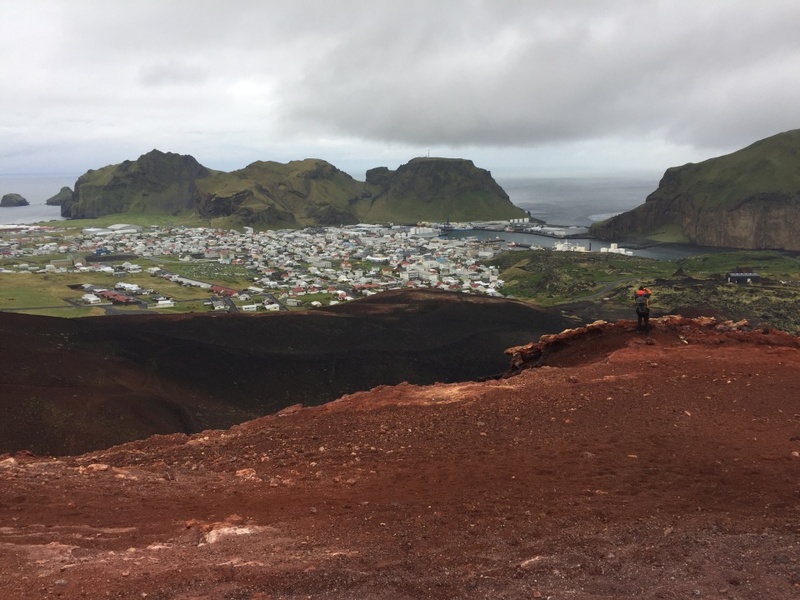 Looking towards the village of Heimaey which was threatened by lava flows and buried in ash during the 1973 eruption of Eldfell. Image: LEARNZ. This house was buried in ash and pumice during the 1973 eruption. 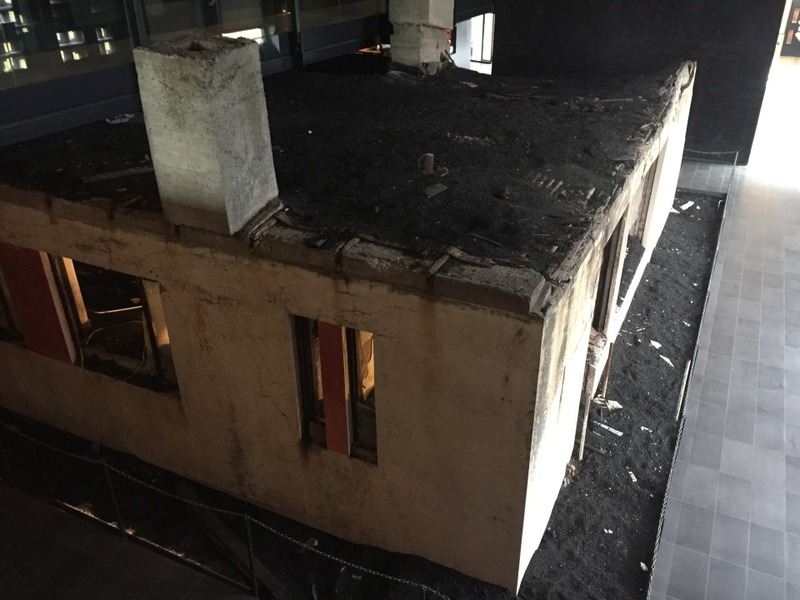 The building has been uncovered and is now part of the Eldheimar Museum. Image: LEARNZ. Kristín talks to Shelley and the ambassadors about her memories of the 1973 Eldfell eruption on Heimaey. Image: LEARNZ. Looking across the lava flow that nearly closed Heimaey Harbour. Image: LEARNZ. 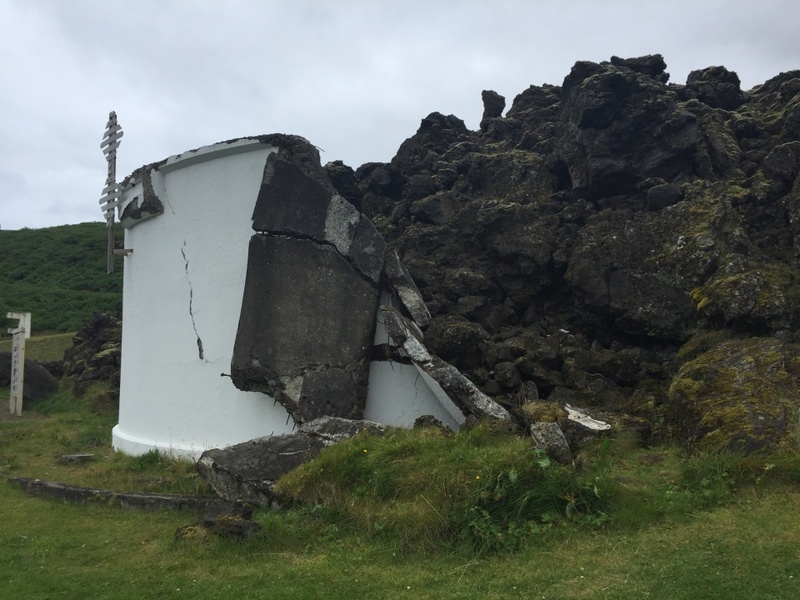 This tank was destroyed by lava flow during the 1973 eruption. Image: LEARNZ.